Sometimes when you are coaching the very young flag football players, you, as the coach, have to do a lot to get a football plays run that…well looks like a football play! That’s okay because we have all been there if you have ever coached a group of 6 and 7 year olds. The first thing we would say is don’t sweat it. Get about two or three plays and make sure those plays have multiple options off of each one. 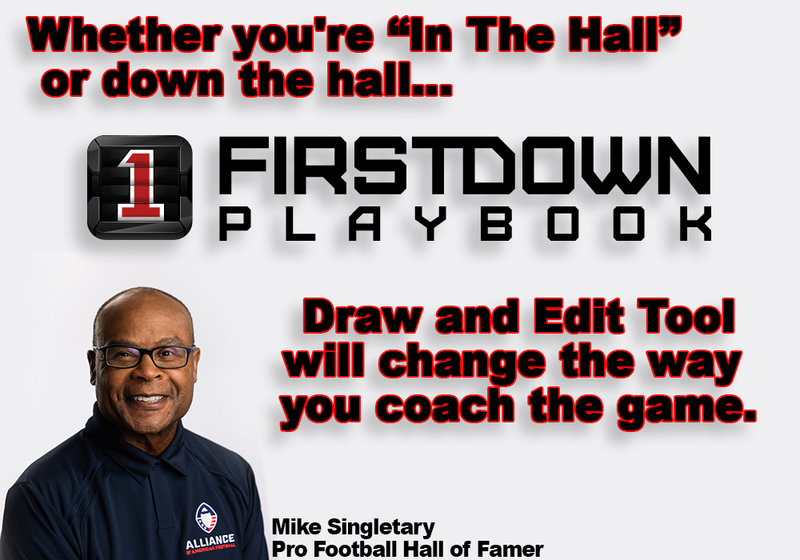 That way you can run the same football play multiple times and the options provide you some variety and even a little deception. One other piece of advice is that your quarterback, who is normally your best player doesn’t always have to take the snap from the center. You can move this player around some and that way it can provide a method for you to actually hand the ball to this player on a run. Some leagues do not allow the quarterback, who takes the snap, to run the ball, so this helps you around that a little also. 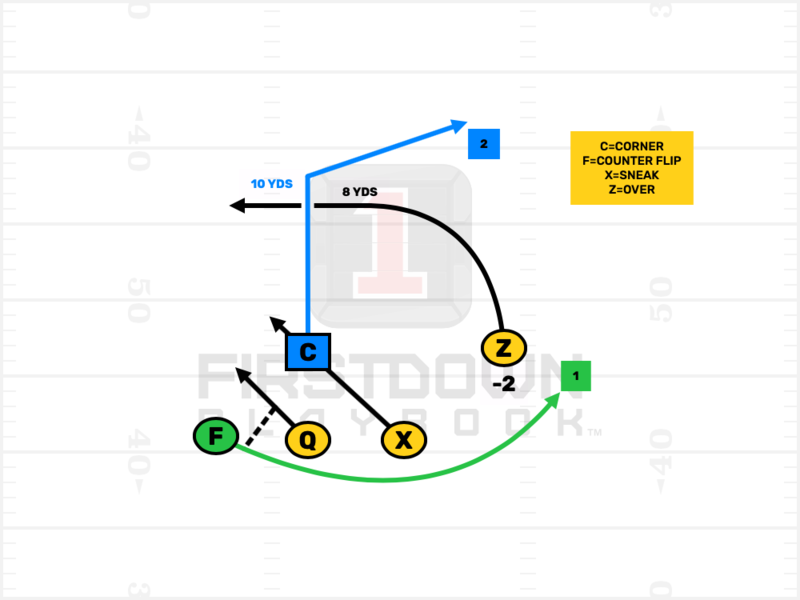 Today we have shared a 5v5 flag football play that offers you several plays in one and it allows you to generate some misdirection in the run game without ever having to throw the football. It can be run as a shovel pass to the X or as a flip reverse to the F. The F can even throw a reverse pass off of it if you have the right player at that position! SECURE THE SHOTGUN SNAP FIRST. OPEN AT 45 DEGREES TO THE WEAK SIDE. FLIP THE BALL WITH THE WEAK SIDE HAND. AGRESSIVELY ATTACK DOWNHILL WITH THE X UNDER YOU IN PITCH PHASE. ***THIS PLAY CAN ALSO BE RUN AS A SHOVEL OPTION TO THE X. EXPECT A BALL OUT IN FRONT FROM THE F.
CHEAT SLIGHTLY DEEPER THAN NORMAL PRE-SNAP. ON THE SNAP OPEN PAST 90 DEGREES TO COME BEHIND THE QB. TAKE THE FLIP FROM THE QB AND TRAVEL BEHIND THE QB AND X. EVALUATE THE CENTER ON THE CORNER & EITHER THROW OR RUN BASED ON THE DEFENSE. ON THE SNAP ATTACK DIRECTLY AT THE CENTER. KEEP THE SHOVEL PITCH RELATIONSHIP WITH THE QB. CHEAT THE SPLIT INSIDE BY 2 YARDS OR MORE. ON THE SNAP RELEASE INSIDE AS YOU CLIMB TO 8 YARDS DEPTH.